In this review we are going to take a closer look at one of the latest 32-inch Full HD 3D Smart LED TVs from LG - the LG 32LA667S. This is one of our new favorite best value for money TVs as it offers almost all features of a modern TV at a very reasonable price. First I am going to start with the looks of the LG 32LA667S. This is one very sleek looking TV, with modern design and futuristic lines. This TV is entirely decided in white, including the massive metal stand. The panel itself is very thin and so is its frame which is one of the thinnest we've seen in this class. The 32LA667S definitely leaves positive impressions with its elegant looks but I am just not sure if the white color is going to suit most customers (most people prefer black or metal chrome finish these days). But the LG 32LA667S isn't about looks, it is mostly about functionality. The thin Edge LED panel delivers great quality picture in Full HD 1080p with maximum resolution of 1920 x 1080. It has Motion Clarity Index of 400 and local dimming which significantly improves the overall performance and picture quality of this nice 3D Smart LED TV. The fast picture processing wouldn't be possible without the Triple XD Engine and the Resolution Upscaler. 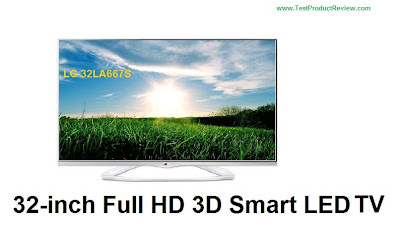 LG 32LA667S also offers the popular Cinema 3D feature which allows you to enjoy 3D content on this TV. LG are using passive 3D technology for most of their 3D TVs and this one supports SG/FPR/AR/GPR 3D formats. You can also enjoy quality 3D sound (3D Sound Zooming) from the two 10W speakers which also have Dolby Digital decoder with Virtual Surround Plus and LG's Clear Voice II technology for improving sound quality. 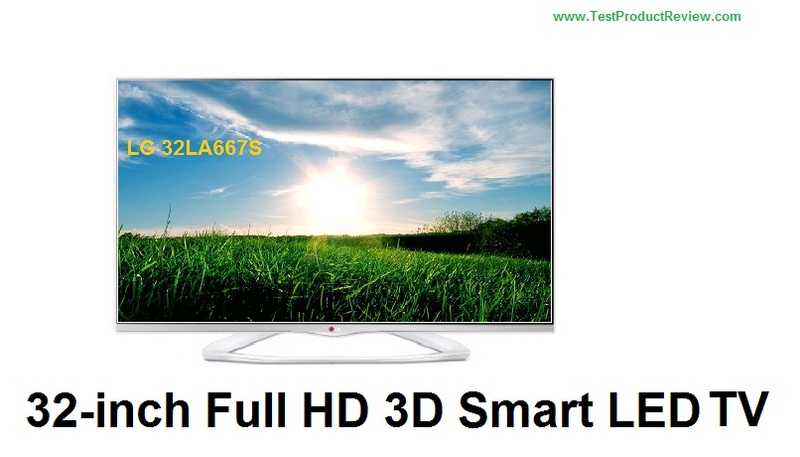 LG 32LA667S offers variety of Smart TV functions. And thanks to the build-in WiFi connection and WiFi Direct you can access Internet apps with ease. With this TV you also get connection options like HDMI, USB, CI slot, SCART, RF In, Component (Y,Pb,Pr), PC audio, Digital Audio and 3.5mm headphone jack. When I first saw all these good specs I thought this TV would cost around $1000 but that wasn't the case at all. You can find the LG 32LA667S reasonably priced at $750 (around 500 Euros in Europe) which is an amazing price for such capable 3D Smart LED TV. Anyways, I would recommend you to take a look at our list of Best 32-inch LED TVs for 2013 and decide which TV will suit your needs best. You can also learn which are the current most popular TV brands in the world.